Nathan Hill tests an algae scraper that comes with a 23-page instruction manual! Here’s what I hate about Tunze — the stuff is usually so hard to track down in the UK. You need to send out scouts and reconnaissance parties just to find a pump, and for the more esoteric stuff you might as well be hunting unicorns. It’s a nightmare, because it’s such great gear. Look at the use of numbers after their products, in this case defined as '220.010'. To me, that suggests Tunze is serious about its gear, defining it like an android experiment in that way. Anyway, this magnet cleaner. 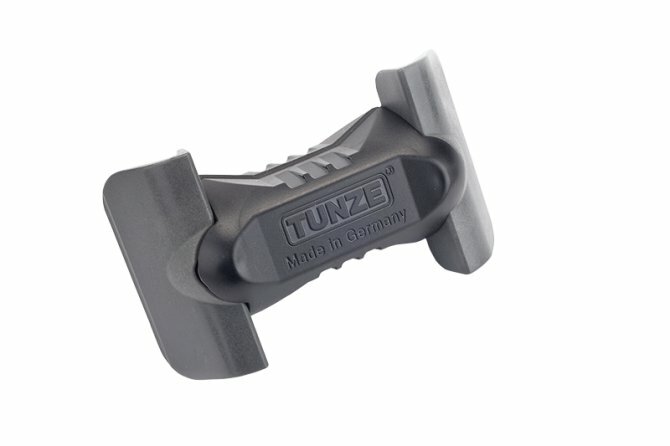 It’s quite unlike other magnet cleaners you’ll find, because on the tank interior the magnetic element is kept away from the glass (3mm away, according to the precise Germans) and the thing is propped on a couple of replaceable plastic blades instead. Not rubbishy blades, either. These have been machined to be surprisingly sharp. The feedback that it gives me as the user is a lot of pressure on two very small points of the scraper, as opposed to a limp spread across the whole surface of a scrubber-faced magnet. The result is that it just cleaves through algae, at least up until you reach a scratch in the glass, when it suddenly struggles. I can’t blame Tunze for that, after all they’re selling a glass cleaner, not a scratched and battered glass cleaner. Besides which (and without being too rude about it), if you’re the kind of person who enjoys glass that looks like a battered bus shelter, then you’re probably not going to be in the market for pricey Tunze gear. I mean, it even comes with a 23-page instruction manual. Yup, a manual for an algae cleaner. Technical data, safety instructions, warranty — the works. The only downside is the price. At £14.99 for the smallest model, that’s about a third of the price of the nano tanks that most people will be buying them for. It’s good, but you’ll need to decide whether it’s £15 of good. For what it’s worth, I bought mine. This is like the sportscar of algae magnets. It races about the tank in tight lines, turning heads; it looks good, and it’s helping me deal with a midlife crisis. It was this or a Porsche, and I’m not that rich.